In recent years, zoom lenses have been taking over the hearts of many working professional photographers as the more obvious, versatile choice. With the latest image sensors producing amazing quality, even at extremely high ISOs, it makes sense why more people have been leaning towards the convenience of zoom lenses. Zoom lenses have also gotten impressively sharp – most, even some cheap kit lenses, are sharp enough for day-to-day needs and also boast effective image stabilization systems. Some of the modern pro-grade lenses offer image quality that matches or even surpasses primes lenses in the same focal range. 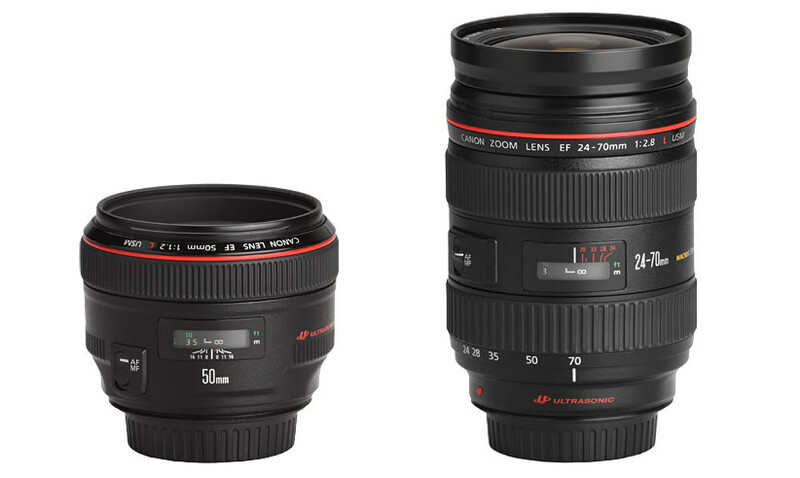 Despite all this, prime lenses haven’t really lost their desirability. Lens manufacturers such as Nikon and Canon have been rapidly updating and expanding their lens arsenal with new and better choices. Third-party manufacturers like Sigma are stepping into the game with confidence. Thanks to this, choosing between a zoom and a prime lens is now harder than ever. In this beginner guide, I talk about prime vs zoom lenses in detail, explaining their differences, along with some image samples. 1) What is a Prime Lens? A prime lens is a lens with a fixed focal length (also commonly referred to as a “fixed lens”). What this means is that such a lens has a set angle of view which can not be changed – unless you move, you can not make the image appear larger or smaller within the frame. The only way of enlarging your subject and making it fill more of the frame is by physically getting closer to it. In turn, the only way to fit more into the frame is to step back. Prime lenses have a single specified focal length, like 50mm. They come in all kinds sizes and focal lengths, from fisheye to super telephoto. Examples of prime lenses: Nikon 50 f/1.8G, Canon 800mm f/5.6L IS, Sigma 35mm f/1.4. 2) What is a Zoom Lens? A zoom lens, on the other hand, has a variable focal length. By turning the zoom ring, you move optical elements inside the lens to achieve a different angle of view. This means that you can make objects appear larger by turning the zoom ring in one direction, or fit more objects into the frame by turning it in the opposite direction. Zoom lenses have two specifications which represent the two extremes of the zoom range, for example – 70-200mm. Such a lens may act as a 70mm focal length lens, a 200mm focal length lens and everything in-between. In addition, zoom lenses could also have variable aperture ranges. 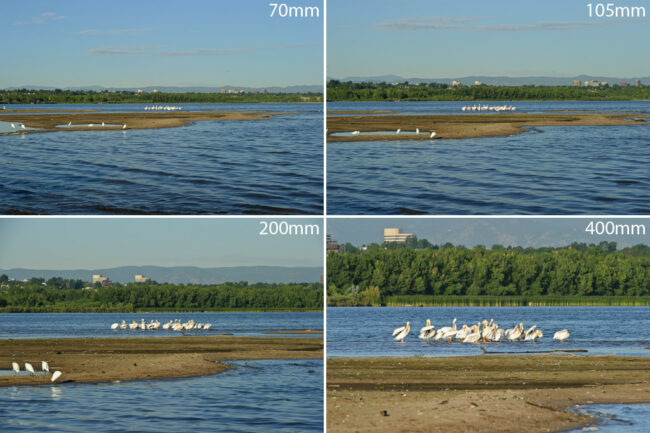 On many consumer zoom lenses, you will often see something like f/3.5-5.6, which represents the maximum aperture of the lens at different focal lengths. For example, a lens like Nikon 18-55mm f/3.5-5.6 will have a maximum aperture of f/3.5 at the shortest focal length of 18mm, while at the longest range of 55mm, its aperture will be limited to f/5.6. On the other hand, most professional-level zoom lenses will have a single maximum aperture throughout the zoom range. Examples of zoom lenses: Nikon 18-200mm f/3.5-5.6G VR II, Canon 16-35mm f/2.8L II, Sigma 70-200mm f/2.8. So why do we need fixed focal length lenses? Here is the list of main advantages primes offer over zoom lenses. Many modern prime lenses are significantly cheaper than their zoom counterparts. A 24mm f/2.8 lens will set you back around $400, while a 24-70mm f/2.8 will cost $1900-2300. Even if you cover focal lengths between 24mm and 70mm with fast primes like 35mm f/1.8, 50mm f/1.8 and 85mm f/1.8, you will still end up paying less. For this reason, photographers on a budget have the chance to experience world-class optics at a fraction of a cost of those expensive variable focal length lenses, and there is no need to make compromises with cheap, lower quality zoom lenses all the time. Surprisingly, many beginners often desire monstrous lenses like 70-200mm f/2.8 with image stabilization. True, these lenses are extremely sharp, have insanely fast autofocus motors and can survive plenty of abuse. However, they are also much more noticeable due to their sheer size, and their heavy weight can cause back and neck pain and even long-term injuries. We can already see just how big this problem is by looking at the booming mirrorless market – even professionals jump at the chance to own lightweight, high quality gear. Prime lenses offer something of a compromise – they trade versatility in favor of size and weight. A while ago, I decided to go with the 85mm f/1.4 lens instead of the 70-200 f/2.8 and never really regretted this decision. Having only big lenses may sometimes mean you will leave your camera at home instead of taking it with you wherever you go. Many photographers believe that being forced to “zoom” in/out using the old-fashioned way, by walking, is a good way of learning composition and finding better angles. It also supposedly helps one get used to a lens better and use it to its full potential. I partially agree with this and I can say that my 50mm prime has helped me in some regards, but in all honesty, such a restraint can be equally damaging to your learning process. I believe it is important to have at least one zoom lens if you are a prime shooter, and vice versa. Most fast, professional zoom lenses, such as 14-24mm, 24-70mm and 70-200mm, have a fixed maximum aperture of f/2.8. Fast, professional prime lenses on the other hand, can go as wide as f/1.2. For this reason, they offer not just better light gathering abilities, but also shallow depth of field, which can result in photographs with beautifully rendered background highlights known as “bokeh“. Many beginner photographers often wonder why they do not seem to be able to get beautifully separated subjects when using their kit zoom lenses. Due to the small maximum aperture and lower quality lens optics, it is often impossible to get good-looking, “creamy” backgrounds with consumer zoom lenses. A fast prime lens will allow you to shoot subjects in low light environments without introducing blur, thanks to a larger / wider aperture. Due to typically simpler optical designs, prime lenses can easily “open” up to f/2 or even f/1.2. Such lenses will let in twice to three times as much light as a fast professional zoom lens with an aperture of f/2.8. While many zoom lenses feature optical image stabilization systems to help you in low-light conditions, such systems are useless if you have a moving subject. If everything were in favor of prime lenses, no one would use zooms. Despite their extra weight and cost, they are extremely popular and can be very convenient to use. There are several areas where even the best fixed focal length lenses have no way to beat a good zoom. Below are the advantages offered by variable focal length lenses. The most obvious reason for buying zoom lenses is their versatility. Zoom lenses can be great when a photographer needs to be sure he can handle a variety of different situations – you can go from wide-angle to telephoto in a quick turn of the zoom ring without the need to physically move. Landscape and wildlife photographers, for example, are often limited to a particular spot or area, so being able to zoom to an area of interest can be invaluable for properly framing a shot. Modern zoom lenses often offer 3-4 stop image stabilization systems, be it Canon’s Image Stabilization (IS), Nikon’s Vibration Reduction (VR), Sigma’s Optical Stabilization (OS) or Tamron’s Vibration Compensation (VC). Even if you have an f/4 lens you can still get sharp images when shooting non-moving subjects in dark environments. Thanks to the image stabilization technology, your lens will make some of its internal optical elements move and shift to counter camera shake, which lets you use extremely slow shutter speeds. Image stabilization is not just limited to zoom lenses. Some of the newer fixed focal length lenses also boast image stabilizer technologies, such as the newly announced Canon 35mm f/2 IS. Lastly, do keep in mind that image stabilization can be present on lenses or camera bodies. Sony and Pentax DSLRs, for example, have sensor-based image stabilization, which will work with pretty much any mounted lens. A single zoom lens can replace two or three prime lenses. This also means that you only need to worry about moving around with a single attached lens. A single zoom lens might save you from carrying a large backpack. In a way, certain zoom lenses allow you to reduce weight, because you don’t need to bring several primes to cover the whole range. Less lens swapping also means cleaner sensor and optical elements. Beginner photographers are often faced with a choice between buying a fixed focal length lens or a zoom lens. As you can see from this article, both have their advantages and disadvantages, so choosing between the two can be quite difficult indeed. It takes time to realize which gear suits your style of shooting better. Some people end up with a single “do it all” superzoom lens, while others swear by their prime lenses and refuse to ever touch a zoom lens. As you learn how to use your gear overtime and start ironing out your photography skills, it really does not matter what you pick, as long as it does not stop your creativity. Why is it Nikon primes suffer from relatively slow autofocus performance? The ‘holy trinity’ seems to focus just fine, but the Nikon primes seem to lag their Canon counterparts, any idea why this is and if Nikon plans to update it’s lineup? As a new Nikon shooter I’ve been pretty disappointed in their prime lineup. The answer is simple then, invest in a Canon system. Brian, as a fellow Brian, I would expect you to have better taste. Thank you for sharing this important piece of knowledge with us. I’m looking for a couple of new lenses and was stuck between Nikkor 50mm. f 1.8 and Nikkor 70-300mm . This article helped me alot to understand my needs and the requirement. Yes you are right, choosing between primes and zooms is always hard. One thing makes the choice easier or at least different. Since I work with a Nikon D800 I find primes much more useful. With a 85mm prime I can still crop to the same field of view as if the photo was taken with a 200mm lens and I get still perfect A3 size prints. If I go out with my 24-70mm 2.8 lens I leave my 85mm or 105mm prime at home. As long as I am not wanting the ultimate bokeh I don’t see any difference between the cropped 70mm shots and the 85 and 105mm shots. I have now a fantastic digital zoom. Especially the 1.2 cropped mode I like a lot. It makes the 28mm lens a great 35 mm lens and still more resolution than any other profesional dslr and the worse corners are cut! With the D800 I need less lenses! I sold my 70-200mm 2.8 already because I wanted the lighter option of the 70-200mm F4. Because the 70-200 F4 was not yet shipped I used my 85mm instead. I found out that I don’t need the zoom at all! Instead I bought a used 180mm F2.8 prime (a stellar lightweight lens, only a few hundred euro’s !). I did some tests in a zoo to compare f4 and F2.8 and defenitely 2.8 (already very sharp with this prime) gave me nicer pictures than with a smaller opening. It is just that little extra!. With the 70-200mm (I expect) you have to stop down at least to 5.6 to get decent results, this means you will loose the professional looking bokeh in your pictures! I think it was the right decision to buy this prime instead of the new zoom. OK, no VR but I shoot mainly people and animals so VR is useless anyway and with the great high iso capacities of the D800 I had no problem handheld shooting at all. In fact I have more keepers without VR because I take care very good about shutterspeed and don’t become lazy just trusting on VR. The fantastic auto-iso possibilities of the D800 are very helpfull as well. 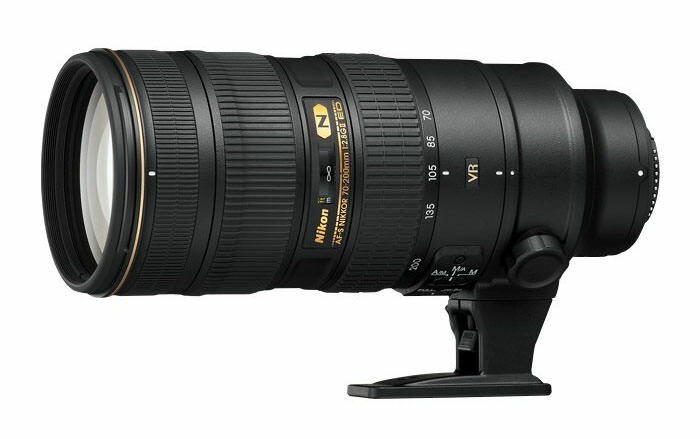 I am considering purchasing a Nikon AF DC-NIKKOR 135mm f/2 D which is a very good prime lens. My concern is that it has no weather seals. Will the lack of these seals pose problems for my camera in the future? Hello, Frank. It all depends on the conditions you normally shoot in. I don’t own any weather sealed lenses, although I do work as a professional wedding photographer. So far, I’ve managed just fine, but there are times when I really regret not having well sealed lenses, shooting in the rain is an example. I’ve had my 85mm f/1.4D lens wet a couple of times and it works swell, but still, sometimes I wish it had sealing just as a precaution. i am a beginner in photography and going to buy a Nikon D3200 for practicing. my concern is regarding lenses. should i buy its body only and go for a prime 35 mm or 50 mm and a nice zoom lens like 70-200 mm. i dont think the kit lens will be helpfull for me after going through all the tips on this lovely site. I have the D3200 with 18-105mm which is very versatile. I also invested in a 35mm f1.8 – which is a great addition – having the extra light sensitivity means you can revert to it when the 18-105 does not perform well in low light. I try not to use the flash too much people have white faces sometimes. The 35mm gives really good realistic colours. I just got a 55-200mm for the extra zoom, but as it starts at f4 I’m already not too happy with it. Sean, Built in flash will do this but with a separate or even shoe mounted flash you can often bounce the light off a ceiling or wall and get some great results! Good summary and good points. For me, the big differentiator is image quality. In general, primes have better acuity and pixel-level sharpness really makes a difference to me. Since today’s cameras are all electronic, there is no need to have an aperture ring on the lens. The aperture setting is controlled by the camera body it is attached to. It was basically a cost savings by the manufacturers to not include this feature anymore. Keep in mind (and this is with ALL lenses) that when you are looking through the lens, and your aperture setting is set at f/16 for example, you are still looking through the lens at it’s widest opening (f/1.8 in your case). The selected aperture isn’t set until the shutter is pressed. Cameras with a depth-of-field preview option, will allow you to see the image at the smaller (f/16) setting when this button is held down. An f1.8G lens is fixed aperture lens, however your camera has the facility to change aperture to f2.8 or higher. There will be a dial which will do this. Please read your manual. A nice article. I quickly checked the prices of primes vs zoom and their weights. The total cost of 3 primes – 85mm f1.8G; 135mm f2 and 180mm f2.8 – is slightly higher than the price of one zoom (70-200mm f2.8 VRII). The primes together weigh about 1925 gm while the zoom weighs 1530 gm. The difference is, you may choose to skip buying/carrying one of the prime lenses if you know that you are not going to shoot wildlife or sports but with a zoom you have to carry it all the time. Image quality should be better with primes with larger apertures. i now use a 35 1.8 and sigma 70-300 since my mount on 18-105 broke, shame that was a great lens! planning to buy nikon d5300 with 35mm /1.8g. Not sure whether it will serve my purpose. after reading the reviews, i think i might not be able to capture a bird in the roof top. and buy a zoom lense later. Should i consider som 18-140mm zoom lense instead of 35mm prime? unless you are planning on gluing the bird to the rooftop 35mm will not be suitable at all. A bird on a rooftop calls for something in the order of 400mm plus! Depending on the subject distance. On the other hand a 35mm is a very decent standard prime to learn general photography. Not a bad first lense at all. Just not for birds. Birds are about the worst case scenario for any budget I’m afraid. The long glass required is extremely expensive. thanks dennis, for the quick reply. So for D5300 35mm/1.8g or 50mm/1.8g, which one would you suggest. for a beginner point of view for learning and capturing good photos around me. Between those two I’d get the 35mm. My own preference would be 24 to 28mm. If I was just starting out today I would just start with a standard all-round zoom then, say after six months or so, analyse the EXIF data and see which focal lengths you tend to prefer. You may be surprised! Nw thinking about 18-140mm, as you said, learn the basics with a all around camera. . Based on interest buy a prime later. on a non full-frame DSLR I’d start with 2. Then see what your favorite focal length becomes as times goes by. If it turns out you tale lots of head and shoulders type portrats you might want to pick up a cheap 50mm later, or maybe a 90mm macro. You just don’t know yet at this point and its most important to your development to just get shooting! just as an afterthought I set my zoom to 35mm and left it like that for a few weeks to test, then did the same for 50mm. 35mm was the most useful. So I opted for the 35mm for my d3200. Recently upgraded to the d7100 – which is great :) as I kept all lenses. If i have space and time to carry/swop lenses during a shoot then primes are viable. If i don’t have the freedom to carry primes and i cannot change lenses quickly then i need an all in one lens, so a zoom is priority. The author has made various mistakes in this article. The photographs in the article are also technically incorrect, bad framing (cut-off people, missing heads on people in the background, just a floating head?) and wrong lens used for the subject. This shouldn’t be an example to someone learning photography, you are teaching them bad technique. wrong information for example : “On the other hand, most professional-level zoom lenses will have a single maximum aperture throughout the zoom range. Examples of zoom lenses: Nikon 18-200mm f/3.5-5.6G VR II, Canon 16-35mm f/2.8L II, Sigma 70-200mm f/2.8.” The Nikon 18-200 shouldn’t be on this list of examples, its a variable aperture lens. i hope this helps you create better articles. thanks for the effort. I am buying a Nikon D3300 with AF-P 18-55mm VR Lens Kit. 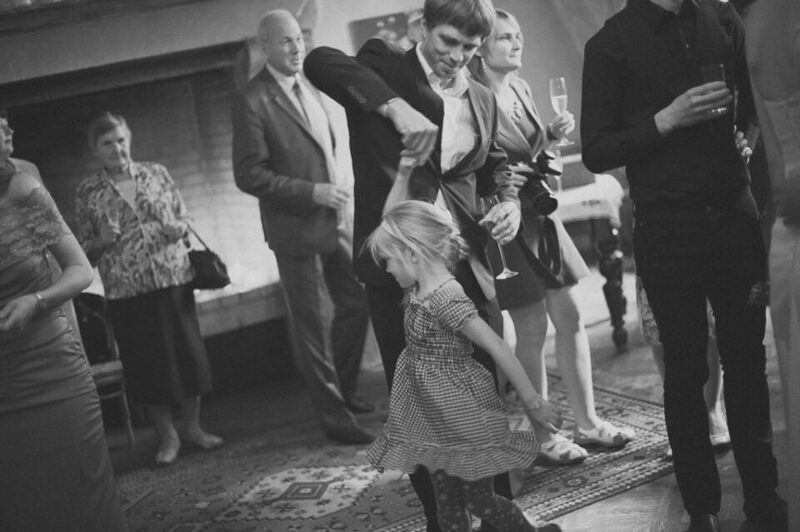 The main objective I have is to take pics of my family and kids. I am a newbie with DSLR–and this is my first stint with SLR cams. Not too worried about the far away objects..like a bird or a game….etc. what lense should be a good buy for my usage? 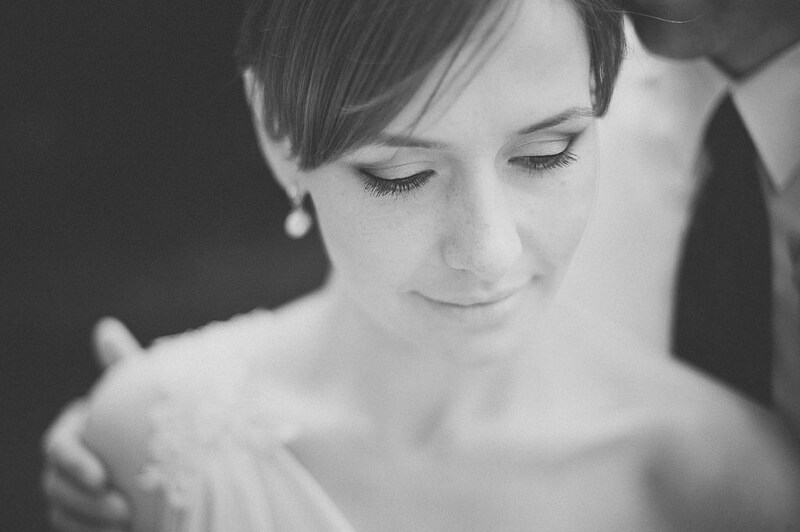 If you are looking at doing portrait work I would recommend the 50mm lens. I am just getting back into photography after a long time away and I bought a new camera. I have the kit lenses 18-55mm and a 55-250mm, but my next purchase was a 50mm f1.8. When you start seeing the results of this lens you will see the advantages of having it. This lens will make your subject really stand out and my muting the background. I’m not saying that having the zoom lens is a mistake, but if you are going to go with one lens and your subject is going to be stationary, the 50mm is the way to go. I would recommend getting both if you can budget it, you can take some very nice photos with a kit lens, although many of the pros and “pros” may tell you different. If you are looking at doing more candid shots where movement is going to be involved the 50mm will be a little more difficult to get your shot. You should always buy a lens to fit your need now so that you can get the shots you want now. You don’t have to buy everything at one time. I am on a budget for my hobby of photography and I have a lot of lenses I want, but you can add them at any time. Also you can look into used and refurbished lenses. They can be a little bit of a savings. Do searches online to find reliable camera stores when doing this. Enjoy your new camera and take a lot of pictures. I recommend going to youtube and looking at various sites to learn about adjusting aperature, shutter speed and iso. It takes some practice to get everything right, but it’s not film, so it mistakes don’t cost you anything. This was a great read. Thanks. I have a couple of questions for you. If you were getting the Sony A7rii what are the two lenses you would get? On the flip side if you were getting the FujiFilm X-t1 or X-t2 what are the two lenses you would get? I’m not an event photographer, wedding photographer, nor do I shoot wildlife so I mainly shoot prime lenses. I do however shoot commercial photography for magazines, and I generally always have time to switch lenses and shoot on a tripod and often even setup some lighting. I much prefer the results and weight for primes after going back and . I only have ONE zoom, the versatile 24-105 F4 IS, but 6 primes. You might say, HEY THATS STILL A LOT OF WEIGHT! Uhh, no not really, I usually will just take 2 lenses, 3 lenses max for a specific job. My favorite primes are the 35L and 135L…they make up the majority of my work. Zooms are more versatile in one respect … focal length. But fast prime lenses are more versatile in terms of controlling depth of field and throwing backgrounds out of focus. When I started to use Canon DSLRs I thought that zooms were the sensible way to go, and equipped myself with 16-35, 24-70 and 70-200 zooms, all with IS and weather sealed. After a while I experimented with the 135 f/2 L and Sigma 50 f/1.4 DG EX primes. I was amazed at how much nicer the images looked. It is not the amount of detail, or sharpness, or lack of aberrations in the corners. It is hard to say just what makes the difference, but there is one. And that is when used at similar apertures, before considering the extreme subject isolation and beautifully smooth and blurred backgrounds that the Primes can create when used wide open. My conclusion is that zooms are for convenience or for when getting a “good enough”, but somewhat bland, image is more important than getting something really outstanding. [With the proviso that a great photographer will make wonderful images whatever they have to work with]. So for a photographic “gun for hire” zooms might be essential, but for the sort of photographer that is more of an artist with a camera, prime lenses are more likely to give the results they are after. Please help me choose one. And also is it advisable to buy a used lens? I am planning to buy Nikon D5600. I prefer to click candid shots. It can be person, landscape or traffic, I shoot birds rarely. Monuments are of utmost interest to me to tell history. May I know what lenses should I buy.